1) How are my parts shipped? We hand pick, pack, test and inspect each part ourselves. We make a unique shipping quote just for you and your order. This personalized service saves you money and ensures the quality of the product shipped to you. 2) How much is shipping? After your order is placed we will send you a bill for the full amount required to ship your item. Each shipment is unique. We use CANADA POST expedited parcel service for most shipments. Other shipping options are outlined on our contact page. 3) Can I track my order? Yes. You will get your tracking number from Canada Post or the courier as soon as it is sent. check yoiu spam folder for email from CPC. You can track your Canada Post order here: https://www.canadapost.ca/cpotools/apps/track/personal/findByTrackNumber?execution=e1s1 Please be sure your e-mail address on your paypal is up to date to receive your tracking number. 4) How can I pay? Payment processing is handled on PAYPAL’s secure server for your safety. We accept mastercard, visa, visa debit, e-transfer and company cheques. Please do not send cash in the mail. We accept cash at our store front. 5) Can you hold my parts? 6) I ordered the wrong part can I return it? Used parts sales are final. For more information please see our POLICIES tab. 7) My parts came damaged, what do I do? If the courier damages your parts: take photos of the damage and all packaging, and send a detailed e-mail with your photos to CanadaCatalyst@gmail.com to start the claim process. For more information please see our POLICIES tab. 8) How often do you deliver to the GTA? 9) I need parts really fast. 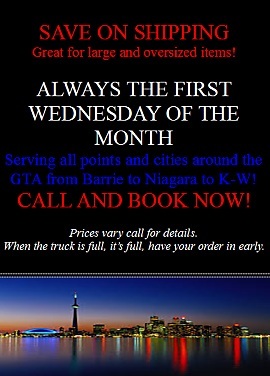 We offer next day delivery within southern Ontario. Please call for a quote. 519-878-3353. This service is on hold currently due to the Canada Post Strike wrap up and Christmas season. 10) Are used parts bad for the environment? Used parts provide a much lesser environmental impact than new. Car emissions are only part of the environmental impact of cars on the road. The production and disposal of cars leaves a much greater carbon foot print. Used parts removed responsibly are the best environmental choice. 11) How much do I save buying used? The cost savings is often 50% or more when buying used rather than new. 12) Can’t I just go to any wrecking yard to get parts? All we do is Volkswagen parts. That means we will get your parts faster and have more selection. Our staff lives the brand and can answer your questions about your Volkswagen needs. 13) I don’t speak car can I just have my mechanic order parts from you? 14) Do you carry new parts? Yes. We carry an entire line of new parts. Our hope is you find everything you need for your project at one location. 15) I can’t make it out for a test drive during your store hours. Can I book a time to test drive? One minute off the 401 between London and Chatham. And about 10min from Port Glasgow on the beautiful shore of Lake Erie. 17) What is a core charge? A refundable recycling fee; like beer bottles. Please see our tab on core charges. 18) Why is there tax on a used product?